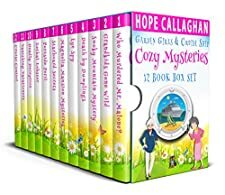 Grab this Cozy Mysteries 12 Book Box Set from Author Hope Callaghan’s popular “Garden Girls” & “Cruise Ship Cozy Mysteries” series. 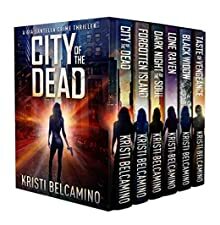 This boxed set contains the first six books from both series. Enjoy days of good, clean, reading entertainment with more than 2,000 pages and over half a million words! When his older brother gets gunned down, 14-year-old Junius Posey puts down the weed he’s pushing and grips a gun for the first time. As he makes his way into the Rindge Towers, a territory of vicious drug dealers, Junius is forced to defend his best friend””to deadly effect. Now there’s no going back. Shocked by the violence he’s created and determined to see his quest through to its end, he pushes ever farther into the towers to find a woman known as “The Oracle” who might have his answer. Do you love fierce women, dark mysteries and riveting suspense? You’ll love the Gia Santella Crime Thrillers.